Heart to Get Classic bracelet collection is a collection with everything you always wanted. Bracelets with a cute little symbol. You name it, we have it. 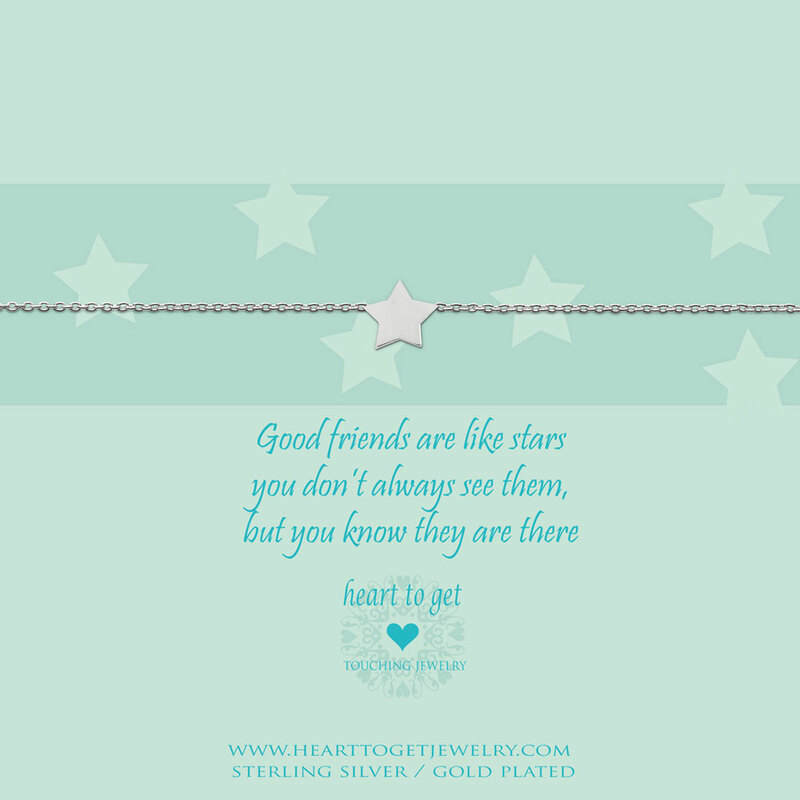 This bracelet wears the message ‘Good friends are like stars, you don’t always see them, but you know they are there’. Length of the bracelet: 16 cm + 2 cm extension. Available in silver, gold plated or rose plated.